Finally, A Recession Resistant Business That is Affordable. The Hood Guyz provides Commercial Hood Exhaust Cleaning services to restaurants and other retail food service establishments. We are in an industry that other companies would love to be in, a much underserved industry where restaurants owners have to have our services. Commercial restaurants and institutions must remain compliant with building and fire protection codes in order to remain in operation. Sales - We provide a sales professional to work with your market to help land business for you. Telemarketing - The Hood Guyz calls on potential customers in your territory to schedule courtesy inspections and proposals. Internet Marketing - A strong, on-going, local internet marketing program which will help generate business for you is provided. The Hood Guyz is a cut above the rest in the cleaning industry. Every franchisee in our system is a Hood Guyz Certified Technician and is taking the industry to a new level. eTraining - The Hood Guyz On-line University starts the moment you are awarded a territory. This is done from your home before arriving at Head Quarters. Training Center - Complete on-site hood exhaust systems are installed at the headquarters facility where you will learn everything about these systems Field Training - Here you will be able to apply all that you have learned in the real world. When you go back home, you will be very confident in your skills and starting your business. 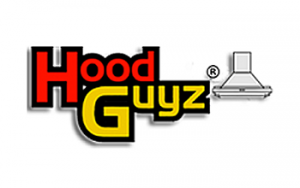 Field Software - The Hood Guyz exclusive field software training will allow you to utilize this program and become more efficient and professional in this business. Business Coaching - Mentoring is important to The Hood Guyz organization. Understanding how to run business is just as important as how to service customers. The benefits of owning this affordable fleet washing business can't be beat: recession resistant, low competition, multiple profit centers and repeat business. Request information today to know more!